Wondering what to do if you drop your iPhone in water? I dropped my iPhone in a sink of water on purpose. Read on to see what happened. 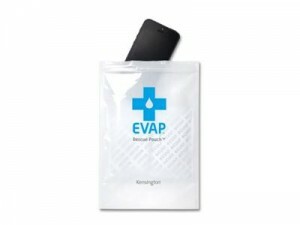 I’m what you call a tech enthusiast, so when I was asked to test out the EVAP Rescue Pouch by Kensington, I was ready. Until, of course, I realized that I actually had to drop my iPhone in water to see if it worked. Now I have an iPhone 5 that I cherish, and there was no way I was going to test it out on that. I just happened to still have the iPhone 4 I had before I upgraded, and as I had only used it when popping in my Roam Mobility Sim Card and hitting the USA (which I no longer have to do now that they have SIMS for the iPhone 5), I decided that this phone was going to be take the plunge. Even when you don’t use the actual phone anymore, it’s still a nerve wracking experience dipping it in a sink of water. I was having flash backs to the time my BlackBerry slid out of my pocket and did a suicide dive into the bathtub with my kids. But, in the name of technological science, I gritted my teeth and let it drop. Next What’s new at Disneyland 2013?